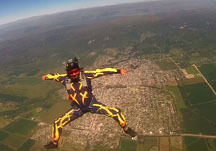 Do you want to make your baptism tandem jump and try the thrill of freefall? 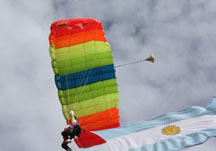 Skydive Alta Gracia offers you the possibility to do something different in your event. Skilled and experimented skydivers can jump off our airplanes and land at any predetermined place carrying banners with any logo you want. Any friend, relative, couple, co-worker of yours always dreamt with a parachute jump?? This is your opportunity to give him/her the gift of that desired moment!!! 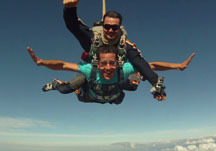 For birthdays, anniversaries, bachelors, graduations or special dates give a tandem jump!! You can give a baptism flight in our airplane with a Gift Voucher as well. Consult us!! !